I'm new in Spiderbasic and want to start using it with 3d, my question is : mesh animating is available or not yet ? - You can set the camera rotation with RotateCamera(), but you cant get the camera rotation with a function, for example: GetCamRotX(), GetCamRotY(), GetCamRotZ() or something similar. 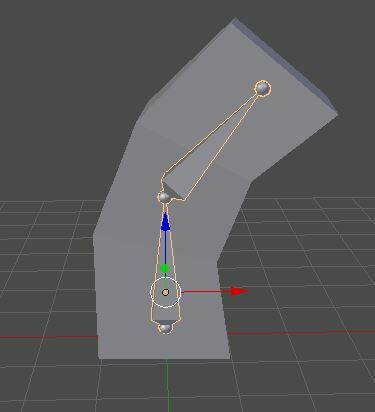 - Same with a Mesh, you can use RotateMesh() but you cant get the mesh rotation with for example: GetMeshRotX(), GetMeshRotY(), GetMeshRotZ() or something similar. I wanted to use WSAD keys to move the camera, i now use this piece of code: (but cant do that in SB BBjs) Maybe add a function that can do this with any key you specify? Is it possible for you to add those functions? T4r4ntul4 wrote: I wanted to use WSAD keys to move the camera, i now use this piece of code: (but cant do that in SB BBjs) Maybe add a function that can do this with any key you specify? ■ For the moment I do not publish the modifications. I put the features in an example. ■ Test code with these features. <- and -> keys for left and right rotation of the cube. A D W S button for camera movement. Click and move the mouse to rotate the camera. If you agree with this test, I modify babylon.sbi and release the new version. Ah, i didnt know CameraMapKey() was for that. I tested your code and it seems working perfectly! Downloaded the last Version and get an error in "15-Canvas.sb"
OOops Thank you HPW. I'm updating this example. @Falsam: I'd like to do something with VR. Is Babylon also suitable for creating a 3D stereo VR display or is it only possible with WebVR etc.? Excuse my previous question, please. I just found the VR demo in falsams babylon examples. That's awesome! These are great new opportunities. I'll be off, in the VR. Big thanks to Falsam for the Babylon integration!